"Cyberpunk style synthesized keys accent Down-tempo elements of Glitch Hop and Glitch Funk electronica." ENDERS has released the first of many full length LPs/Albums containing tracks from 2 years worth of work. This music is an experiment in blending cyberpunk themes and styles with glitch hop, bass music, and more. The ENDERS production continues into 2016 and beyond with much more awesome music, original artwork and more. Rite of Reign is an undoubtedly mellow, and thought-provoking album compared to what one would come to expect from dark electronic music and modern canned "Electronic Dance Music". ENDERS preforms an occult ritual rise to power with this first full length album 'Rite Of Reign'. This album draws influences from glitch hop, trap, heavy synthesizer and cyberpunk concepts. ENDERS diverse body of musical work finally to comes together to create a fusion of multiple types of electronic music and styles yet unknown to the world of music. Heavy oriental, classical and middle eastern influenced instruments like the Koto, Arghul and Cyberpunk style synthesized keys accent Down-tempo elements of Glitch Hop and Glitch Funk style electronic music. Back in time from from futuristic night club performances comes tracks like Synth Lit Streets, and CONJUR8 setting a mood perfect for your spaced out spring time jamming pleasure. Midwest cyberpunk ENDERS takes you on a wild, emotional ride deep into the heart of the net, and gets you higher than Jupiter's moon with Callisto Cantina. 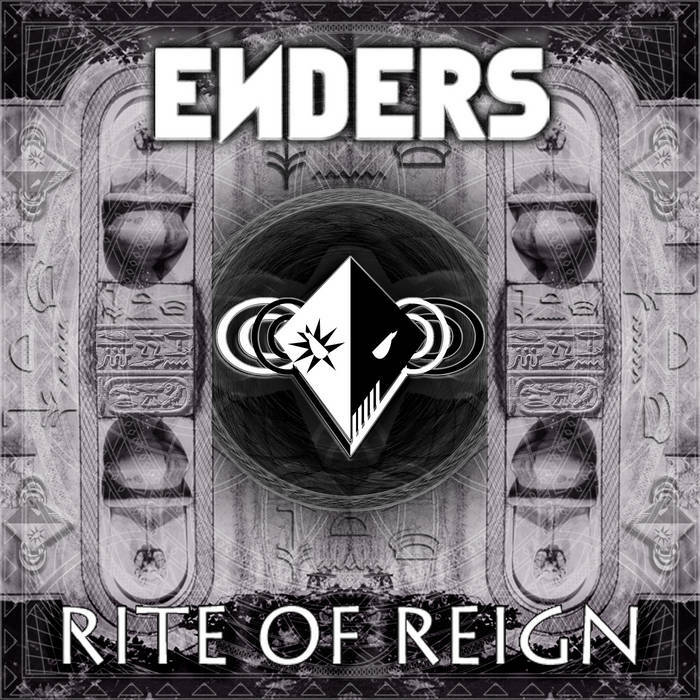 Prepare for the principal reign of ENDERS with this debut album 'Rite Of Reign'.